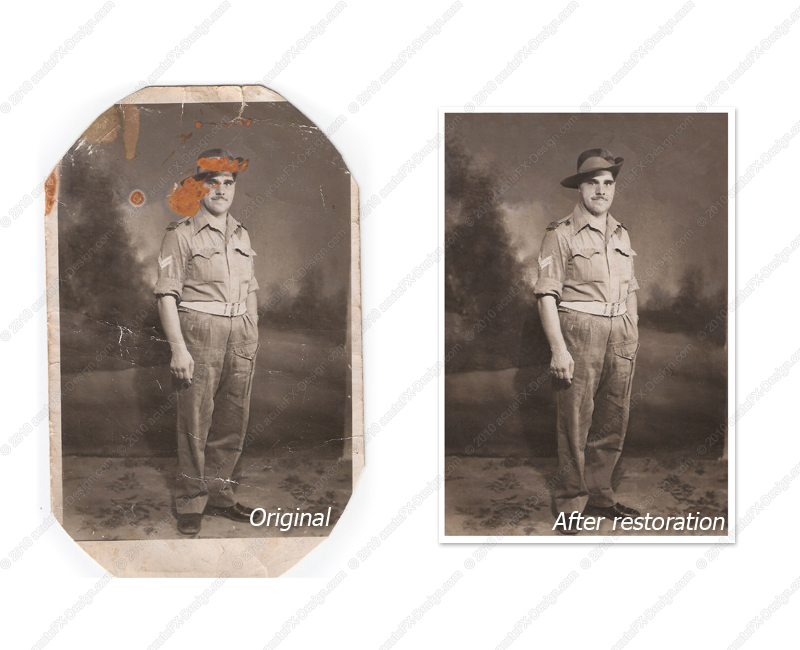 acuteFX Design can take your old, worn photographs and bring new life to them through digital restoration. Treasured family pictures are priceless, but even with the utmost care can become damaged over the years. 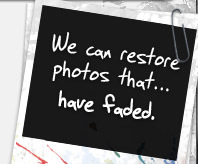 We can even add colour to black and white photographs! images before sending them to acuteFX Design. Some print or camera shops will have scanners and photo-copiers open to the public and you could use these to scan your photographs before sending to acuteFX Design. 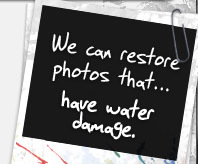 When using a professional scanner, please still follow the guidelines above to ensure a good quality copy. 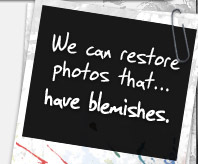 For information or assistance with scanning your photos please contact us.